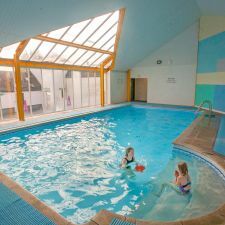 The indoor heated swimming pool and sauna at Barend are available to people who live in the DG5 postcode area for a small annual membership. Lessons provided by a qualified swim Level 2 Certificate STA teacher, who teaches in the pool. Group Lessons £30.00 for 4 week block, 6 swimmers maximum. Lessons are suitable for all abilities also for those with limited mobility.